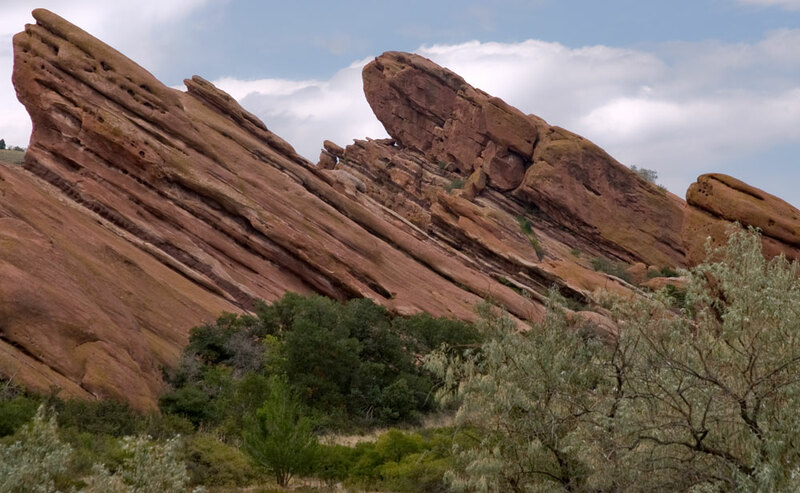 On the Lariat Loop Scenic Byway just west of Denver you'll find evergreens covering the foothills of the Rockies, the curious crimson formations at Red Rocks Park and Amphitheatre, and even dinosaur tracks in the uplifted hogback at Dinosaur Ridge. 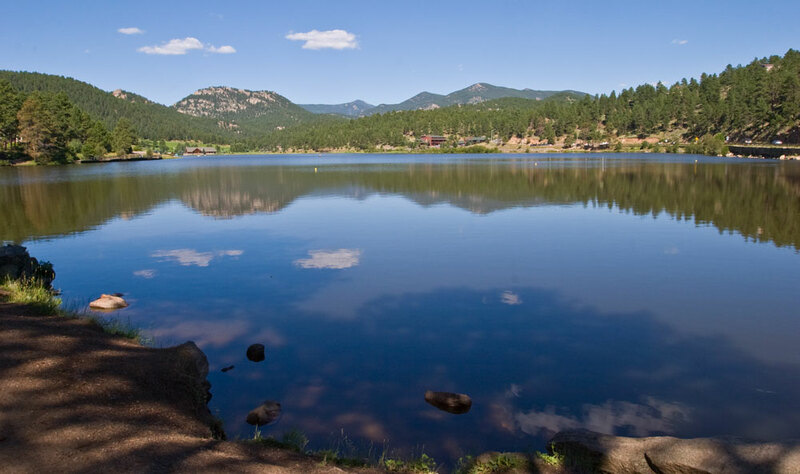 • Famous for its connection to MillerCoors Brewery, the town of Golden has more to offer than just fresh beer. Long before the smell of hops and barley wafted through the streets, Golden was a frontier town. In fact, Buffalo Bill is buried on Lookout Mountain just outside of town. The town is also home to the Colorado School of Mines. If you're interested in geology, you can view displays of rocks, gems and minerals at the school's mineral museum. 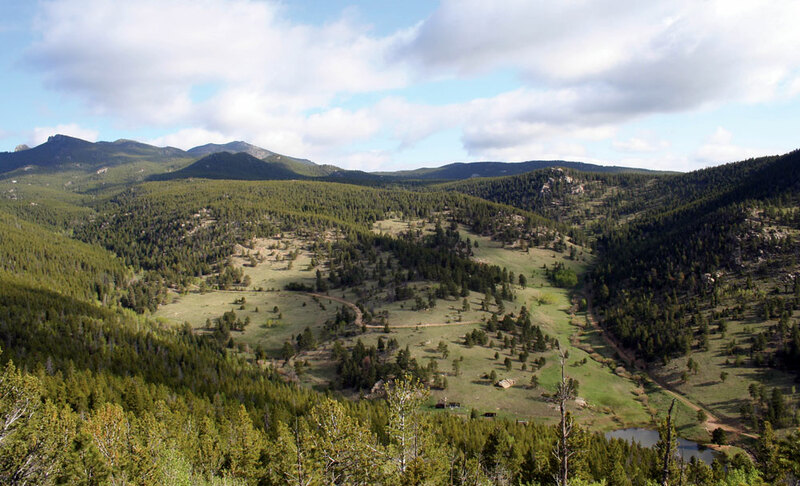 If you're looking for outdoor activities, head to nearby Golden Gate Canyon State Park, where hiking is abundant. • Buffalo Bill is buried at the top of Lookout Mountain Park. If you're interested in this Wild West legend, tours of his grave are available. Conflict surrounds his burial site, with multiple states laying claim to this famous frontiersman's remains. But having died in Colorado, it is here where his final resting place is located. Be sure to look to the east for a skyline vista of downtown Denver. • The town of Evergreen is surrounded by emerald colors. Acres upon acres of pine stand stoically on lush mountainsides and green valleys. Because of its less-than-45-minute ride from the metropolitan hub of Denver, many city-dwellers spend their weekends here, while others reside amid the pines and commute into the city. Popular among both are fishing the streams and lakes, as well as hiking into the area's backcountry. Look to the hillsides during the winter for bighorn sheep who've descended to lower elevations in search of food. • The canyon community of Idledale is a quiet place that sees more bikers and drivers than residents. Little Park, a sharp turn off CO 74, is a picnic spot right in town. Lair O' the Bear Park Open Space, just west of town, offers one of the best places to wander along a creek and hike high into the hills above town. Follow one of the short loop trails in the area for views of the foothills beneath Mount Evans, as well as the city of Denver. • The town of Morrison, at the bottom of winding Bear Creek Canyon, is perhaps most famous for the nearby Red Rocks Amphitheatre. Artists running the gamut from U2 to the Beatles have all graced this natural outdoor concert venue. Even if no shows are scheduled, you can still tour the grounds and take in the beauty of the smooth red sandstone walls that encase the amphitheater. The town of Morrison itself has a central main street, where small-town shops and restaurants can be found. The History: Taking its name from the historic Lariat Trail, this route connects two roadways on the National Register of Historic Places (Lariat Trail and Bear Creek Canyon) and includes a stop at Hiawatha Homestead and Buffalo Bill's Museum and Grave.